Mark Jeffers is skilled at handling all types of family law cases, with an eye towards reaching a settlement for you and your family. 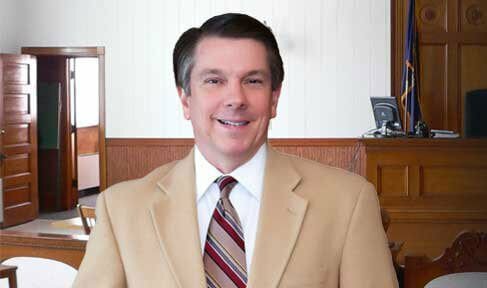 With nearly four decades of experience, Mark knows the ins and outs of Kansas family law cases. Mark is devoted to giving each of his clients top quality, personalized service. He excels at finding solutions to thorny problems, giving his clients peace of mind that their case is in capable hands. At Jeffers Law Office, Mark understands that family law cases can be incredibly stressful, particularly when they involve children or the dissolution of a marriage. He is committed to not only providing his clients with the best possible legal representation, but giving his clients one-on-one attention and guiding through the process. Since 1979, Jeffers Law Office has advocated on behalf of families. Mark is familiar with all aspects of Kansas family law and will put his skills and experience to work for you. 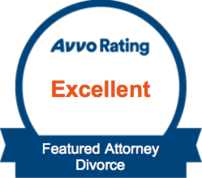 You can count on him to find the best possible outcome for your family law case. Mark will explore all options to reach a cost-effective solution that works for you. Mark is my “go to” attorney for referring out family law matters in Johnson County, Kansas, and everyone I have referred to him has been pleased with his representation. As a life long Real Estate investor and Real Estate Broker, I work with attorneys quite often. I find Mark very knowledgeable, easy to talk to, and communicates easily with the layman. I'm happy to call Mark a college and a confidant. I have known Mark for several years, having served on the board for a non-profit together and having referred many cases to him. He is compassionate, thoughtful, and insightful, and I recommend him unequivocally. Mark Jeffers has been helping families in the Kansas City area for over 30 years and takes special care in representing his clients with favorable resolutions. If you’re involved in a family law case, you need an attorney who understands that your case is about more than just the law. Family law cases can bring up complicated emotions. Trust an advocate who works to find the most favorable outcome for you and your family. If you are involved in a divorce, child custody or support, paternity, grandparents’ rights or any other type of family law case, you are likely under an incredible amount of stress. These cases can take an incredible toll on your everyday life, and require the sure guidance of an attorney who understands both the emotional and legal complexities of your situation. At Jeffers Law Office, Mark understands that family law cases are incredibly stressful, which is why he works with you to find the best possible solution to your legal matter. Mark Jeffers understands that going to court is not always the best choice for his clients. Trained in mediation, Mark will help you achieve a favorable resolution to your family law case. His approach is not to aggressively litigate each and every detail, but to look for ways for families to come to an agreement that works for everyone involved. This approach saves his clients time, money — and a great deal of stress. When you choose Jeffers Law Office, you will receive top-notch, individualized legal representation that takes your full situation into account when deciding on a legal strategy.